The show runs from February 12th to 24th, 2017. There is an opening on Sunday February 12th from 1-4pm. Gallery hours are from 10am to 8pm Monday to Wednesday and 10am to 4pm Thursday to Sunday. Mikael's work will share the gallery alongside paintings by France-Marie Trepanier. 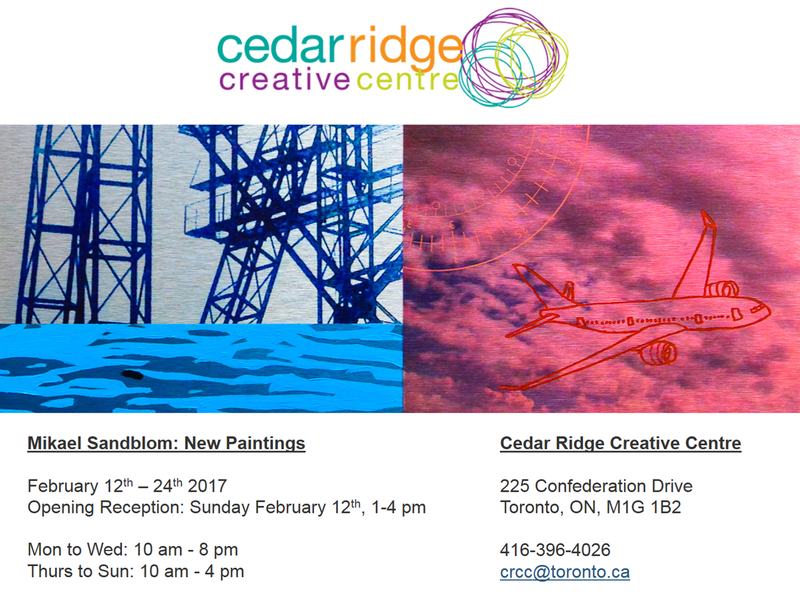 Cedar Ridge Creative Centre is housed in a historic mansion and adjacent gardener's cottage built in 1912. 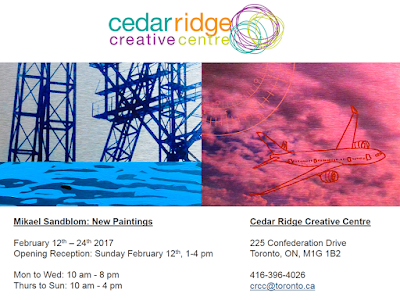 The Cedar Creative Ridge Centre is owned and operated by the City of Toronto Arts & Culture Unit.